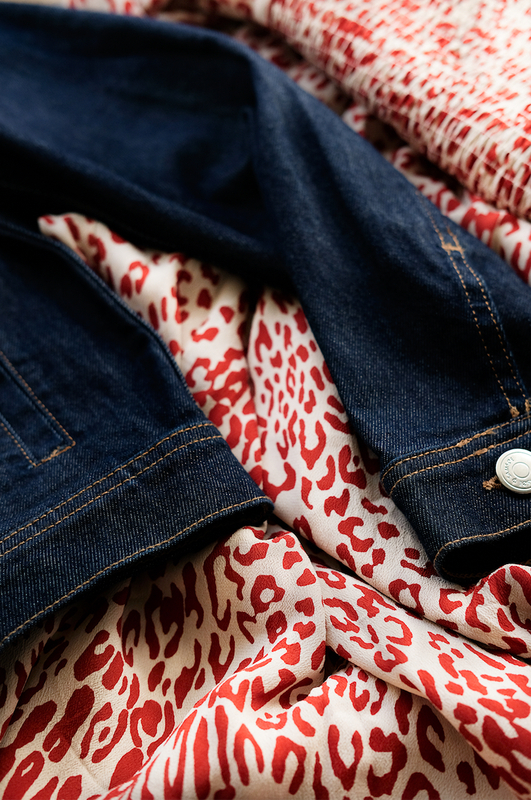 Created from a stretch cotton denim, this jean jacket is cut for a neat fit. The indigo blue denim has an unexpected orange inside colour working perfectly to highlight the casually turned back cuffs. 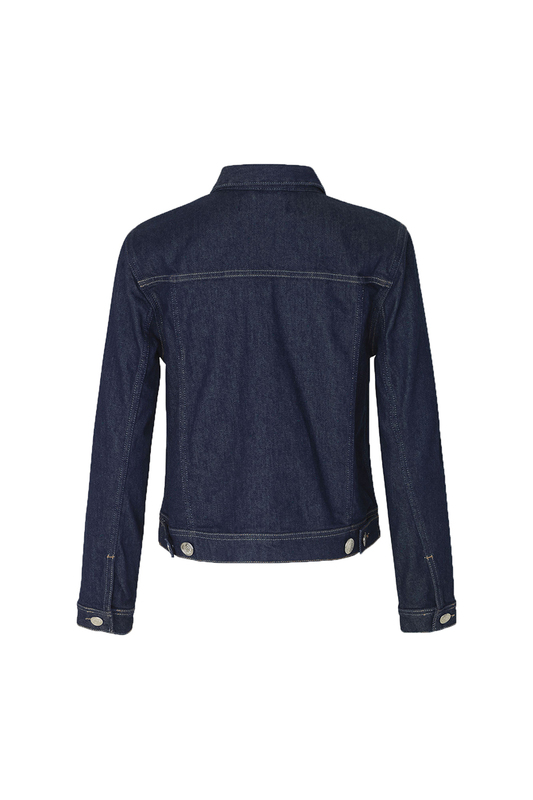 Metal jeans buttons fasten this stylish denim jacket. Photographed here with a dress by Baum und Pferdgarten.